Nothing captures someone's attention quite like the sight, sound and motion of video. 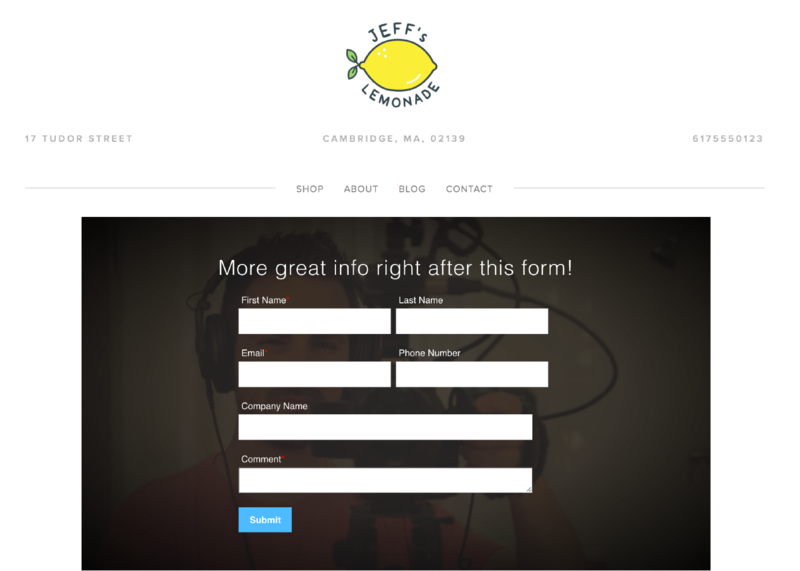 Add HubSpot forms to your videos to reap the rewards of higher engagement rates for video content. When a viewer converts on your video, they'll get passed to HubSpot, and all of their video viewing data will sync with their existing contact record. This integration requires both Wistia and HubSpot. Learn more. Any viewing data will appear on the contact's record within HubSpot as a Wistia video event. 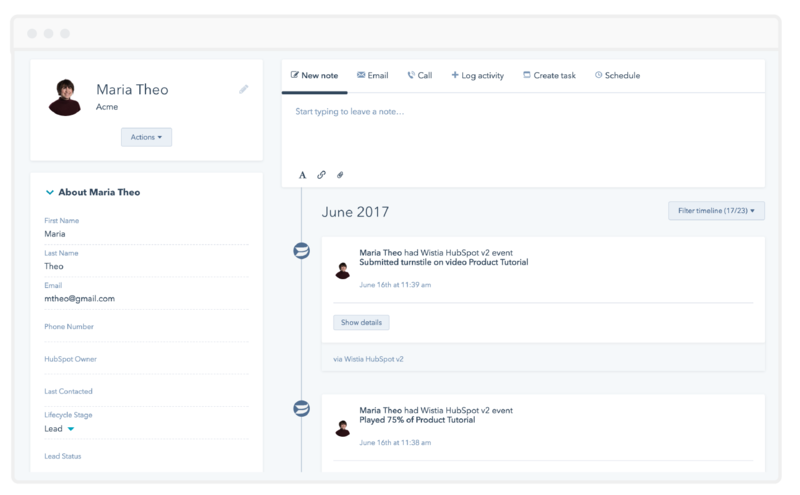 Within the contact record, you'll be able to drill down and see video thumbnails, viewers' heatmaps, and a contact's overall video engagement. Leverage in-depth criteria such as percent viewed or CTA clicked to generate smart lists in HubSpot. 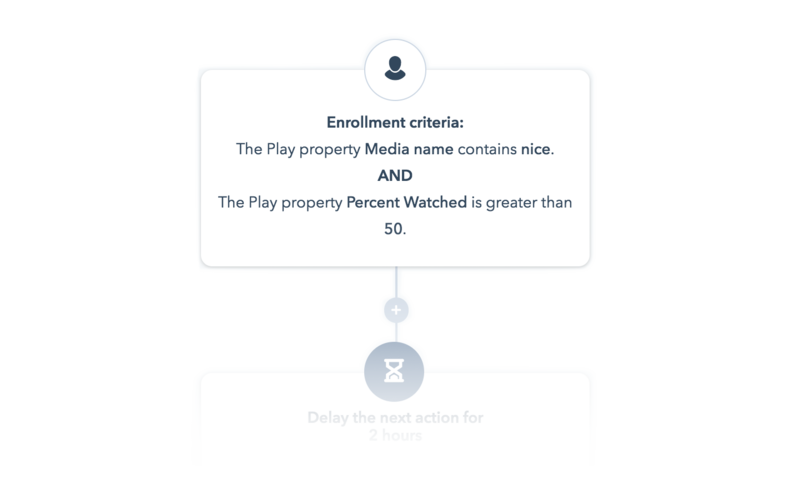 You can also use viewing data to enroll visitors and prospects in workflows and score leads. Set up automation to proactively alert sales reps when their leads are watching key videos, and watch the deals roll in.